What is "Feed the Freezer?" 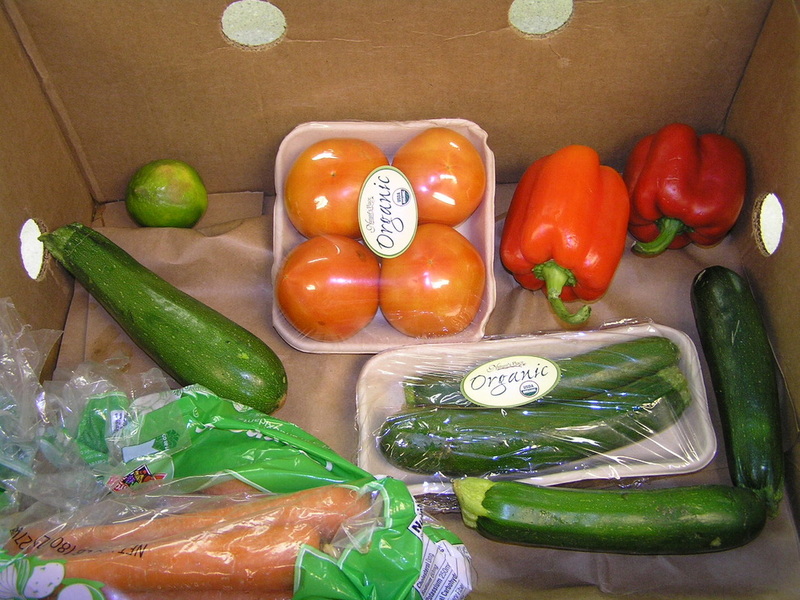 It is a supplement to the ministries of the Area Food Pantries, including Newport, Danbury and Andover. The mission of each Food Pantry is to help families in the area who struggle with unemployment, economic hardships, and the soaring cost of food. Feed the Freezer provides frozen, ready to heat and serve casseroles, which can be distributed along with canned, boxed, and fresh foods. Feed the Freezer began in January 2009 after our commercial kitchen was approved and licensed by the State of New Hampshire. Since the meals are distributed to the public, all food safety guidelines are observed and the kitchen is subject to spot and annual inspections. To date the KCPC kitchen has achieved perfect scores during inspections. The state's inspector is very pleased with the consistency of our cleanliness. Each time a Feed the Freezer crew of 1-5 individuals meet to cook, approximately 30-50 three cup casseroles are prepared and frozen. The next day the casseroles are transported for distribution. Over 80 different members and friends of the church have participated in the preparation, funding, and distribution. 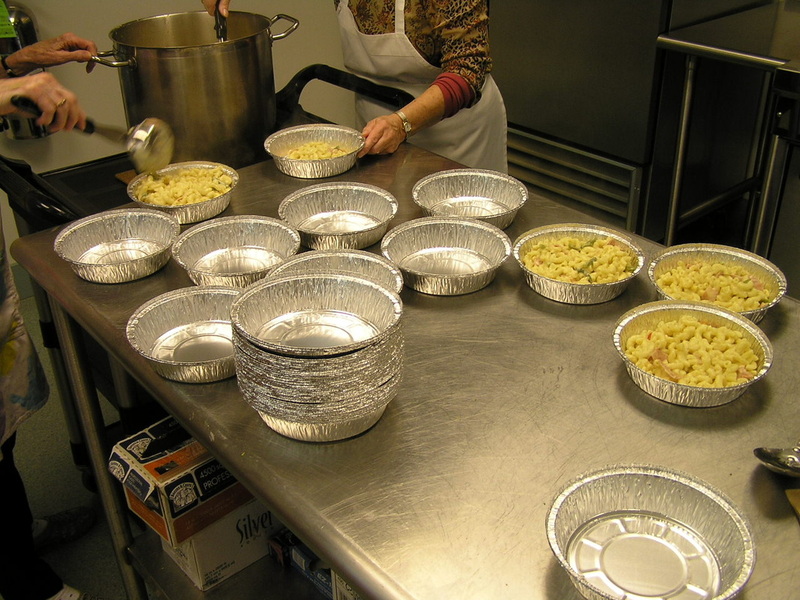 Since 2009 over 6500 casseroles have been completed (as of December 2015). 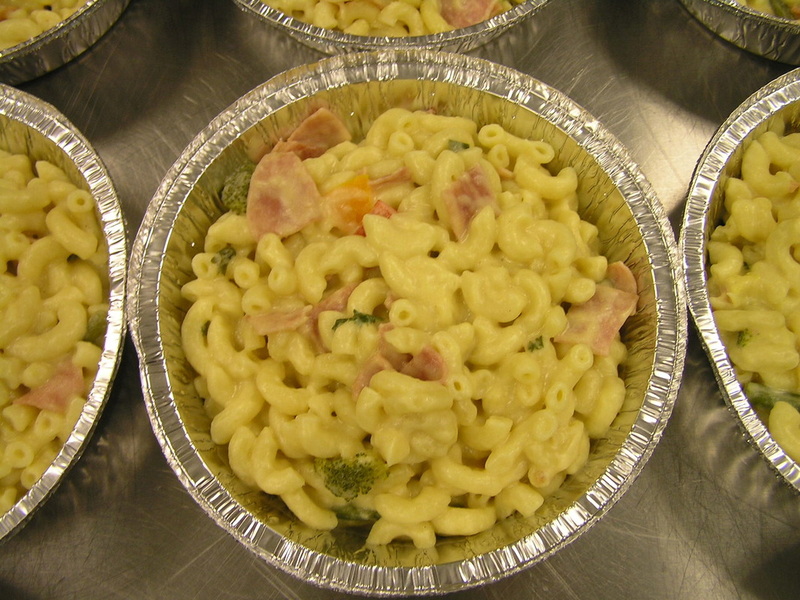 Since each casserole can provide between 2-3 meals each, approximately 13,000-19,000 meals have been served! 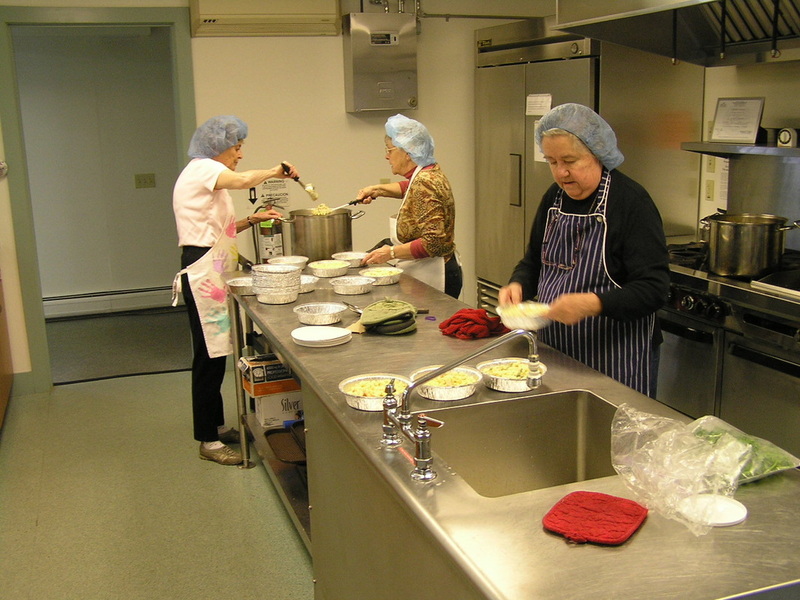 Generally a volunteer cooking crew is organized for one of two Tuesday afternoons each month. Other times for cooking have included Saturdays and evenings depending on the schedule of the cooks. Our cooks represent the entire age spectrum of our congregation. In the summer it is not unusual for our youth to cook. For more information or if you wish to volunteer, please contact the church. 603-526-4800.